When it comes to winter deck care, you’re much better off to spend a little time and money on it now than to have to refinish or replace the whole thing in the spring. The cold, snow, and ice that winter brings can have a variety of adverse effects on your deck, but there are steps that you can take now to save yourself the headache, time, and money that it would cost otherwise. Take advantage of these winter deck care tips so you can get out and enjoy your outdoor space as soon as it warms up outside. It’s a good idea to give your deck periodic cleanings throughout the year, and particularly so before the harsh winter weather hits. Removing dirt and debris from your deck’s surface and from between the boards will prevent structural damage and allow for better ventilation. This could be particularly important to let snow and water fall through, reducing the load that your deck has to carry. Stay a step ahead of the winter deck care game by applying a water-seal coat. Moisture from snow and rain can have detrimental effects on your deck’s stability, and when that moisture freezes it can make your surface a bit more brittle, too. If your surface absorbs any moisture it’s also likely that you’re susceptible to mold or mildew, which can also ruin your surface. Everyone’s first thought after a snowstorm is to clear the driveway, but many don’t think to clear the deck too. 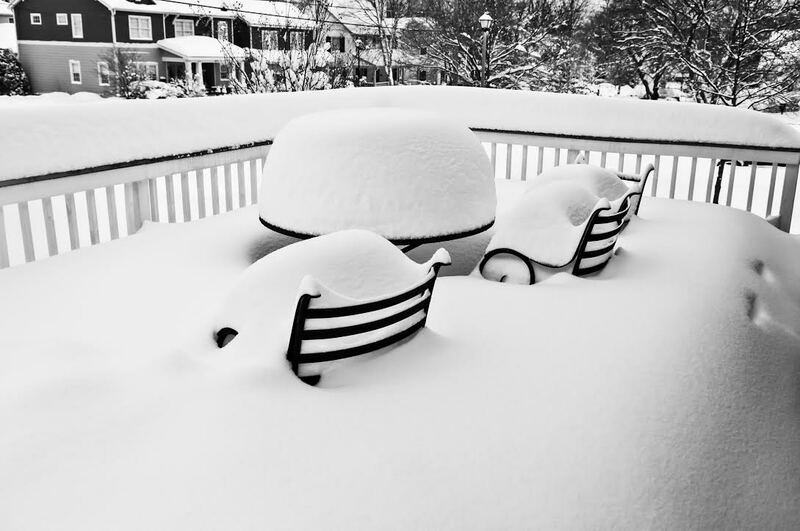 Prolonged exposure to carrying the weight of snow and ice can be harmful to your deck’s structural integrity. Proper winter deck care means shoveling your deck just as often as you do your driveway, preventing weight and freezing from harming it. With 40 years of experience, Freedom Fence and Home has provided the highest quality fence and decking materials to its many residential and commercial clients throughout in Baltimore, Maryland and Harford county as well many residential clients in Baltimore county and Baltimore city. Our deck and fencing experts are available to help homeowners and businesses select the right design and materials for any fence, deck or home improvement project. Freedom Fence and Home – Your Maryland Deck and Fence Experts! You can also follow us on Facebook and Twitter! This entry was posted on Thursday, January 7th, 2016	at 9:51 pm	. Both comments and pings are currently closed.